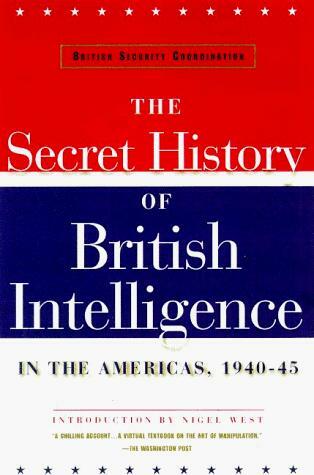 Military History Books, BRITISH SECURITY COORDINATION: THE SECRET HISTORY OF BRITISH INTELLIGENCE IN THE AMERICAS, 1940-45,Fromm International, NY,ISBN 088064236X,Sir William Stephenson,A Man Called Intrepid, OSPREY ELITE 138: THE YUGOSLAV WARS (1),Dr. Nigel Thomas & Krunoslav Mikulan,ISBN 9781841769639,Darko Pavlovic, OSPREY ELITE 146: THE YUGOSLAV WARS (2),ISBN 9781841769646, FOR HOSTILITIES ONLY,Peter Seaman,ISBN 9780952426110,22nd Dragoons,23rd Hussars,24th Lancers,25th Dragoons,26th Hussars,27th Lancers, THE GUARDS: EXCELLENCE IN ACTION,Rupert Uloth,Third Millennium,ISBN 9781903942680,Household Division. In 1940, Winston Churchill dispatched a Canadian industrialist to New York with an extraordinary mission: to set up a secret spy network across both North and South America to cripple and confound Nazi propaganda and to fan the flames of pro-war sentiment. Sir William Stephenson (of A Man Called Intrepid fame) set up shop in Rockefeller Center to build a vast intelligence network ~ British Security Coordination (BSC), the full story of which is now told for the first time. Stephenson's mission came at a time when the United States was still deeply influenced by isolationism. Stephenson's people soon launched an astonishing bagful of dirty tricks ~ they unmasked Axis spies, planted propaganda in American newspapers, and slipped beautiful female spies into the Vichy and Italian embassies in Washington. Stephenson's agents also infiltrated American labor unions, harassed their political enemies in Congress, and fed British propaganda and false rumors to such prominent journalists as Walter Winchel and Drew Pearson who were happy to give them wide circulation. Much of this took place before the U.S. had entered the war, when the country was still neutral territory and British spying was illegal. But President Roosevelt winked at the law, and FBI chief J. Edgar Hoover collaborated as well, though reluctantly. After Pearl Harbor Stephenson helped William J. Donovan set up the OSS which eventually became the foundation for the CIA. 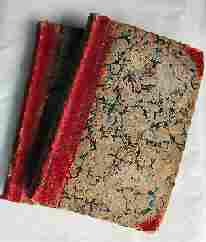 In 1945, Stephenson ordered three of his subordinates, Gilbert Highet, Tom Hill and Roald Dahl, to prepare an official report of the network's activities, of which fewer than ten copies survived all these years in utmost secrecy. This is the first time it has been made public in its complete and unexpurgated form. With a foreword by Nigel West. Following the death of the Yugoslavian strongman President Tito in 1980, the semi-autonomous republics and provinces that he had welded into a nation in 1945 moved inexorably towards separation. After a deceptively clean break for independence by Slovenia in 1991, the world watched a series of wars rip through this modern European state. 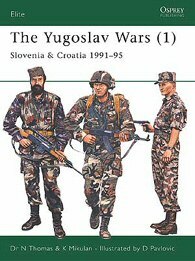 In this first of two volumes, experts on the Balkan region give an unprecedentedly clear, concise explanation of the Slovene, Croatian and Krajina-Serb armies of these campaigns, illustrated with rare photos and colour uniform plates by Darko Pavlovic. Bosnia, Kosovo and Macedonia, 1992-2001. For ten years from 1991, the world watched in horror as a series of bloody wars ripped a modern European state apart, and the intolerable spectacle eventually forced international intervention. 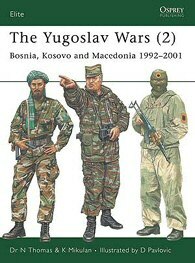 Illustrated with rare photos and colour uniform plates by Darko Pavlovic, this second of two volumes by experts on the Balkan region offers a concise breakdown of the indigenous forces involved in Bosnia-Herzegovina, Kosovo and Macedonia. 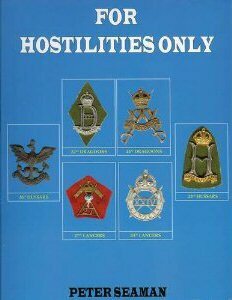 This impressive publication details the insignia and dress distinctions of the six cavalry regiments raised for hostilities only during World War II. These regiments were the 22nd Dragoons, 23rd Hussars, 24th Lancers, 25th Dragoons, 26th Hussars and 27th Lancers. The book includes 25 A4 colour plates of insignia (including trial patterns), uniform items, plus numerous black and white images showing various items of insignia being worn. The orders by which these regiments were raised and subsequently disbanded are also included together with potted histories of each, along with historical notes about their 18th and 19th century predecessors. The story of the seven regiments which compose the Household Division, commonly referred to as the Guards, has been often told. To the world at large the image of the Guards has been coloured by their ceremonial duties dedicated to the protection of the sovereign - whether at Buckingham Palace and Horse Guards, or at great national occasions such as The Queen's Birthday Parade, which the public know as the Trooping of the Colour. Yet in the 21st century the Guards have never been more active and engaged in their role as highly effective operational military units, whether in Bosnia, Iraq or Afghanistan. 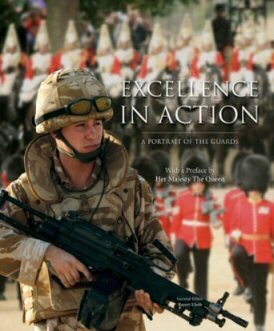 Excellence in Action is a richly-illustrated publication which offers a wide-ranging colour portrait of the Household Division, reflecting the tradition of excellence of the individual formations in the context of today's role as an elite fighting force. The book includes a preface by Her Majesty, Queen Elizabeth, II.